^ Young, T. Luke. Conservation of the Old Walled City of Sana'a Republic of Yemen. MIT. ^ Anna Hestler; Jo-Ann Spilling. 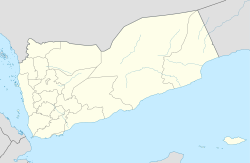 Yemen. Marshall Cavendish. 1 January 2010: 16 [23 November 2010]. ISBN 978-0-7614-4850-1. ^ 8.0 8.1 Ring and Salkin, p.631. ^ Sana'a running out of water with no plan to save it. The Global Urbanist. [23 March 2010]. ^ At a glance: Yemen – Statistics. UNICEF.